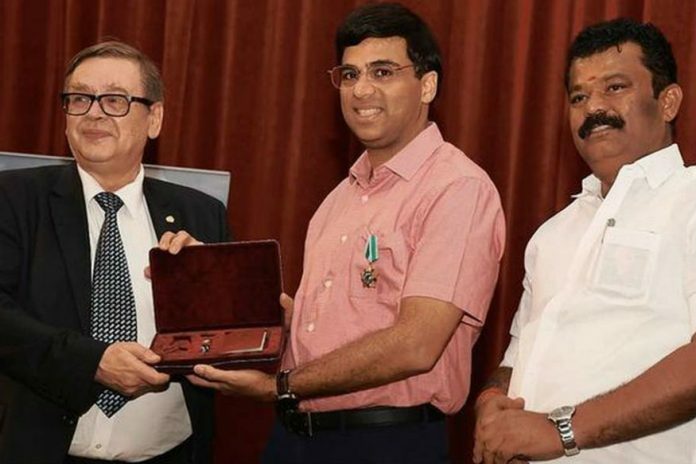 Chennai: The Russian Federation honoured the legendary Indian Chess Grandmaster Viswanathan Anand with the “Order of Friendship” at the Russian Centre of Science and Culture on Monday. The order was conferred by the Consul General of the Russian Federation in South India, Sergey Kotov. “It is a great honour for me to receive this award from Russia, a country that has meant so much to my chess career,” said Anand. “I have learnt and benefitted from the Russian players who were not only rivals but also companions in events. 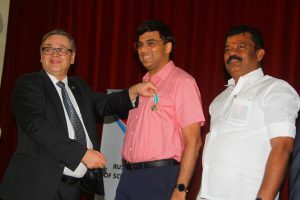 My first trip to Russia was in 1986 and along with Boris Gelfand, I met Russian President Vladimir Putin during the year 2012 and spoke to him about the wonderful Russian Hospitality,” said Anand. Anand also went back in time while speaking about the Russian Cultural Centre. “It’s a special memory to come back into the Soviet Cultural Centre. It is just like going back to my youth, I remember coming here so many times. Every Monday, Thursday and Sunday I would come to play chess here,” recollected Anand. Also present on the occasion was Tamil Nadu State Youth Welfare and Sports Minister P. Balakrishna Reddy and the Director of the Russian Centre of Science and Culture Gennadil A. Rogalev.